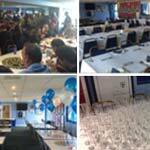 Events at the CASA Hotel Chesterfield. Click now for details. 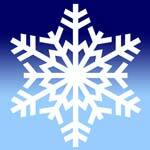 Please CONTACT US if you would like to advertise your restaurant, cafe, sandwich shop or take-away here. 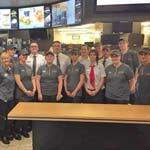 Monday 31st October 2016 The McDonald's restaurant in the M1 Commerce Park at J29a, has undergone a new, exciting transformation following investment to improve the experience for local customers. The restaurant will feature the option for customers to have their food delivered direct to their table. 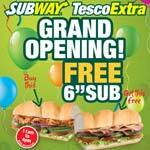 Tuesday 17th November 2015 On Sunday 29th November, between 11am and 4pm, SUBWAY at the Tesco Extra on Lockoford Lane, Chesterfield, is celebrating it's offical Grand Opening. To celebrate the event, they are giving away a FREE 6" Sub with a 'Buy One Get One Free' deal and limited to one Sub Per Person Per Order and while stocks last. 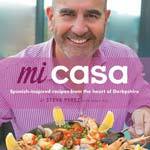 Thursday 30th April 2015 Hot on the heels of Casa Hotel being voted 5th best hotel in the UK, in Trip Advisor's 2015 Travellers Choice Awards, Steve Perez has unveiled a Spanish influenced cookbook, 'Mi Casa: Spanish-Inspired Recipes from the Heart of Derbyshire'. 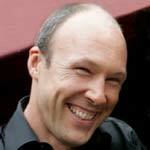 The book not only shares some of the hotel's favourite recipes, but also tells the story of Casa and is an autobiographical recount of Steve's entrepreneurial journey. Wednesday 1st April 2015 The nation's favourite coffee shop, Costa, is trialing a new service from April that lets customers nod off and have a power nap when they hit an afternoon slump. 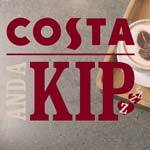 With sales figures highest between 3:00pm and 4:00pm, the time when people are most in need of a coffee '‘pick-me-up', Costa is offering customers a chance to book a 15-minute snooze. 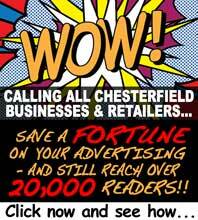 Tuesday 24th March 2015 Chesterfield is set to be given a significant investment boost with the bold transformation of the McDonald's restaurant, creating up to 10 new jobs. The restaurant, which is situated on Low Pavement has now officially opened after it's extensive refit and redecoration work was completed. 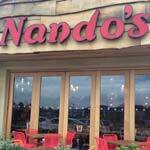 Wednesday 22nd October 2014 Chesterfield residents and visitors are in for a tasty treat as Nando’s, home of legendary Portuguese flame-grilled PERi-PERi chicken, opened to the public today, Wednesday 22nd October 2014. Located in Alma Leisure Park on the former Blockbusters retail site, the restaurant stays true to Nando's unique Afro-Portuguese roots with a stunning design seating up to 128 guests. 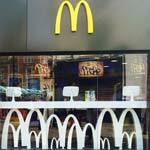 The opening has also created 30 new jobs for the local area, ranging from cashiers and grillers to assistant managers. Tuesday 4th February 2014 There’s not just a new chef and a new approach to dining at The Devonshire Arms, Middle Handley, but now there's another new award too. 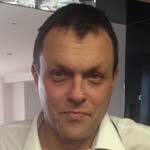 The multi award-winning, Michelin listed inn, has recently welcomed new Head Chef Russell Caines. From bar to kitchen to college - and Jodi Wilson hopes her next stop will be the winners' podium at the region's top food awards! 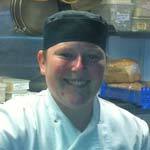 Jodi, who is 21 and lives in Eckington, is a rising star in the kitchen at the award-winning Devonshire Arms pub and Restaurant at Middle Handley. Merry Christmas From the Devonshire Arms, Middle Handley! Thursday 1st August 2013 Is it ever too soon to wish everybody a Happy Christmas? 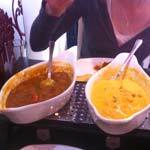 Not according to the team at The Devonshire Arms! The award winning pub and restaurant at Middle Handley is already celebrating the Festive Season after completely selling all its Christmas Day tables…six months in advance! 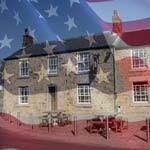 Monday 1st July 2013 Celebrate American Independence Day with the food that made (another) nation great, at The Devonshire Arms at Middle Handley. 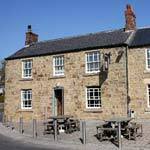 The award winning pub and restaurant actually gets in ahead of the competition by hosting its Independence Day festivities a day early, this Wednesday, July 3rd. 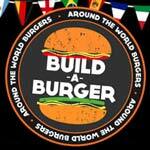 But the taste choices are pure Americana as award winning Head Chef Tom Lawson delivers some Stateside classics at his special American Burger Evening. Friday 21st June 2013 Chesterfield's first Greek deli on Sheffield Road, was formally opened earlier this week by local MP Toby Perkins, as potential customers and passers-by were welcomed in to sample some of the dishes. 'My Little Greek Deli' is the brainchild of Vicky Kadis and serves traditional homemade Greek dishes, offering a fresher alternative to fast food. 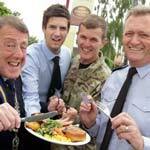 Crown Carveries in Chesterfield are celebrating Armed Forces Day 2013 by treating all Army, Navy and Air Force men and women, past and present, to a free meal. Chefs Compete - Great British Menu Style - For Red Nose Day! 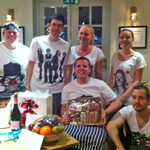 Thursday 28th February 2013 The team at the Devonshire Arms in Middle Handley are aiming to put a smile on costumers' faces with their own Comic Relief version of the 'Great British Menu' competition! 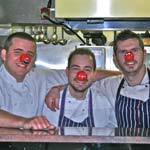 The award winning pub and restaurant's Head Chef Tom Lawson, Sous Chef Craig Middleton and Junior Chef Simon Maw will be competing against each other to create a series of dishes that will then be served at a special Red Nose Day dinner on March 15th. Monday 10th December 2012 A book, which I was given sight of before our interview and written by Nonna's very own co owner Gian Bohan, bears the title 'Strada Della Nonna' which translates as 'the way of the Granny' and that, in a nutshell, is the philosophy which led to Gian fulfilling a dream, but more importantly, continuing to follow and learn about the passion of the Italian way of life. Friday 23rd November 2012 Elvis isn't down at the local chip shop after all - but he is about to hit the stage at a Chesterfield venue this weekend. 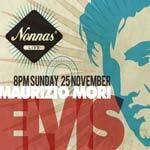 This Sunday (25th November) from 8pm, locally renowned band The Sharpcuts will also be taking to the stage for the evening hosted by Nonna's on Chatsworth Road and will be performing a full warm up set at the gig before 'The King' takes to the stage. 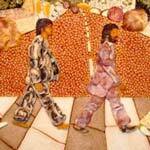 Thursday 13th September 2012 The Highwayman Beefeater Grill In Chesterfield has recreated the iconic image of The Beatles crossing Abbey Road - using items from the great British breakfast! Monday 10th September 2012 DELHI 41 on Whittington Moor has now been open for 12 months and is fast gaining a reputation as one of the best Indian Restaurants in Chesterfield. 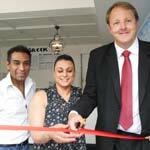 The restaurant - which also does takeaways - was opened by the Mayor of Chesterfield in 2011, Cllr Peter Barr, and is a blend of Indian and Bangladeshi cuisine. 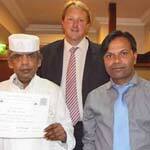 Thursday 6th September 2012 West Bars Tandoori has won the regional runners up prize in the Tiffin Cup, following their nomination by Chesterfield MP Toby Perkins. The hotly-contested annual competition, backed by a cross-party group of Parliamentarians, sees MPs country-wide nominate a South Asian restaurant from their constituency. 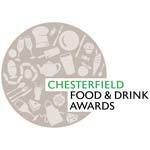 Monday 23rd July 2012 Casa Hotel in Chesterfield has scooped yet another accolade having been awarded a prestigious second Rosette for Cocina restaurant. 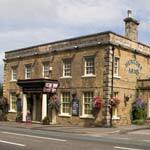 The hotel is celebrating its success following a second visit from the AA, and Casa has retained its status as the highest AA rated 4* hotel in Derbyshire with an 81% score, 4% above the national average.